Whether you are producing a concert at Red Rocks, a downtown music festival, a 50th birthday blowout, or you are taking your band on the road, you want everything to be spectacular. Spectacular may actually be an understatement if you’ve got cold hard cash riding on the success of your event. 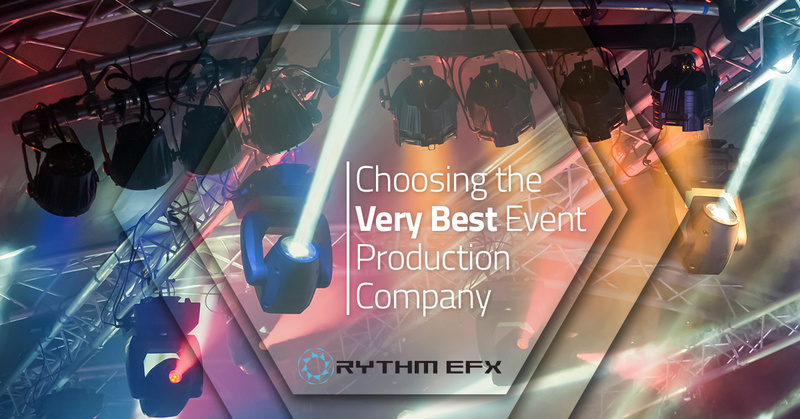 Experienced event planners and concert promoters know that the special effects and lighting go a long way to engaging the crowd and taking an event from fun to epic. They also know that hiring the wrong event production crew can spell disaster, and hit them where it hurts the most — right in the wallet. A production company is not the same thing as a rental company. Don’t make the mistake of hiring a rental company if you expect them to know what permits you need, provide advice about how to set up your effects and where to place them, know how to use different combinations for the greatest impact, or to understand how your choice of venue is going to impact the production of your event. Definitely don’t hire a rental company if you’re looking for any custom production work. A rental company rents stuff. That’s it. It is tempting to hire a friend of a friend, or to take the advice of a guy who knows a guy. That’s not a bad way to start your search actually. It isn’t enough, though. You’ve got to do your own research. Your friend, and the guy that your guy knows, have no vested interest in the success of your event. You need a production company that understands that your success is their success. How long have you been in business? Everyone has to start somewhere, but you don’t want to pay someone to learn on your dime. We’ve been doing this for more than 20 years, we’ve created project management processes, and have kept up on all of the latest technology and best practices. You want to hire someone who has those types of qualifications. You could get lucky and find someone who has been in the industry for a long time and just went into business for themselves. But you’re taking a risk. You’ll have to weigh your options. Interview a few companies, and if the newly-founded business is a lot less expensive, you’ll have to decide if it is worth the risk. Remember, if things go terribly wrong, you’ll have to live with the outcome. There’s no going back in time and re-staging your event. Tell me about what venues you’ve worked at. The answer you want to hear is that they’ve worked at a wide variety of venues including indoor, outdoor, and different sizes and types of venues. It would be great to find someone who has worked at your venue before, but we’d caution you against hiring a production company that works exclusively for that venue. If that’s all they do, they probably aren’t getting really creative. They may have a limited menu of things that they offer, because they never have to stretch their own professional muscles. What references can you provide? You want to check references from individuals and from industry professionals and venues. An experienced company will not hesitate to provide all three. If they do, think twice about moving forward with them. It would be great, for instance, if the manager at your venue says that they were great to work with. But, if the company or person who was actually sponsoring the event wasn’t happy with their services, the venue’s recommendation is really kind of meaningless. You are the one that needs to be happy at the end of the day. A really good production company will not do all of the talking during the interview process. They will want to hear from you, and they should ask a lot of questions. If they don’t ask a lot of questions, they aren’t the company for you. Keep looking. How do you like the people you’re meeting during the interview process? Are they friendly, funny and engaging? Or are they distracted and unpleasant? You’re going to work closely with these people. And, if anything does go wrong, you’re going to want someone with a positive, can-do attitude in charge of the fix. You don’t want a gloomy Gus in charge of rebooting everything after a power outage. You want your event to go great. So do we. That’s really what makes us stand out from our competitors. Sure, we’re technical and design experts. We’ve been doing this for more than 20 years. We love this stuff and would do it for free if we could afford to. But, what you’ll hear from everyone we work with is that, it is our commitment to customer service and going the extra mile that makes us the best. If you need our guys to dive into the swimming pool to connect the scaffolding at the right angle, we’re on it. If you want a crazy, custom, one-of-a-kind prop or sign for your event, you’ll love what we produce. Whatever you can imagine, we can produce it. Give us a call today. We look forward to hearing about your plans for your next event.